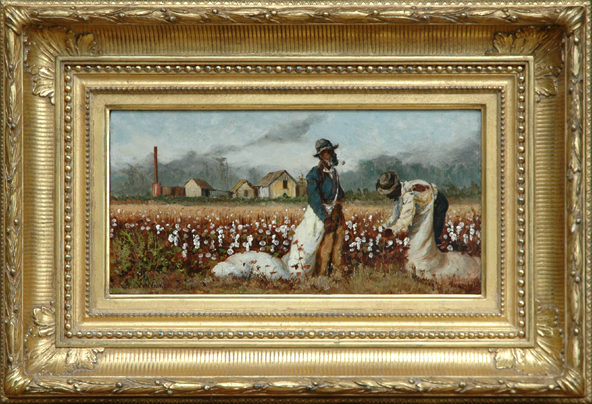 “The Cotton Gin”, oil on canvas, 6″ x 12″, signed lower left, Provenance: High Museum of Art, Atlanta, GA. Original label verso. This painting is in excellent condition in the original period frame, also in excellent condition.